A childhood friend who lived next door to me in Baton Rouge, Louisiana owned a collection of saint cards that she kept in her missal. Each time she came home with a different card, she singled me out to view the entire collection again, many of which depicted Jesus with blood dripping from his heart and Mary weeping at the foot of the cross, and I wanted to hide when she brought home a new addition to her frightening collection. Today, I have a few saint cards of my own, but the memory of that fear I felt when I viewed my friend’s cards hasn’t faded. A few days ago, I received a copy of You Who Make the Sky Bend , Saints as Archetypes of the Human Condition, with Lives by Lisa Sandlin and Retablos by Catherine Ferguson and was impressed with the beautiful depictions of saints, many of whom have inspired worshippers throughout history. The retablos certainly nullify my childhood memory of saint cards – they are stunning renderings by a Mexican artist whose artist parents found one another in the studio of the famous Frida Kahlo. As a young girl, artist Catherine Ferguson often viewed a painting of the Virgin of Guadalupe and felt no terror – she was inspired. After those viewings, Ferguson began her lifework of painting saint images, 31 of which are contained in You Who Make the Sky Bend. You can order this account of exceptional saints from www.pinyon-publishing.com. Over five million people in the U.S. have been diagnosed with Alzheimer’s disease, and the costs for treating the disease exceed $6 million, according to David Perimutter, M.D. These figures alone are daunting to seniors approaching their last decades of life, but the emotional costs to family members of Alzheimer’s patients are incalculable. Our good friends, Henry and Kathy Hamman, who own an independent press called Plateau Books in Sewanee, Tennessee, have just published a book about the costs of Alzheimer’s to family members entitled Swimming Solo by Susan Rava. It’s a memoir written by a woman who endured fourteen years as a caregiver for both her and her husband’s parents when they succumbed to Alzheimer’s. Rava’s memoir records all the complexities of caregiving for parents with dementia, and the writing conveys her journey in a poignant style that combines the memories of better times within the family constellation and the challenges of deteriorating life quality for the four parents. This scene attracted unwanted attention to a family parade, but it continued as a family activity for many years, much to the older children’s chagrin. It was a powerful passage about the close-knit relationships among family members, which makes the retelling of the family’s former life even more poignant. Rava describes her own doubts about taking on the role of primary caregiver in moments of self questioning, yet she and her husband push on with loyalty and resolve to take care of their aging parents. She shares her insights into the downhill world of Alzheimer’s, reinforcing the idea that there is no magic pill for the disease. She also includes valuable information about support systems, nursing homes, assisted living places, finances, and hospice care. For me, that Job-like cry from Susan Rava is the most powerful passage in Swimming Solo. Susan Rava is a retired lecturer in French language and literature at Washington University in St. Louis. Her work has appeared in the New York Times Book Review and the Christian Science Monitor. Two of her short stories received honorable mentions in the Houghton Mifflin’s Best American Short Stories of 1986 and 1987. Henry and Kathy Hamman are the publishers of Plateau Books and both are expert editors. Brava to author and publishers for a book that is a significant contribution to ongoing studies about Alzheimer’s disease. There I was, writing a novel based on the life of my great-grandfather, Lawrence Dade Greenlaw, when the telephone rang and my daughter informed me that it was time for me to travel to Covington, Louisiana to become a great-grandmother. 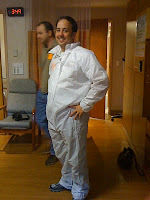 “Hay la bas,” I thought, “I have the distinction of being the only living great-grandparent in the family now!” I arrived about 15 minutes after Alexander Charles Romero made his appearance and was privileged to see his “clean-up” through the glass window of the nursery at St. Tammany Hospital. 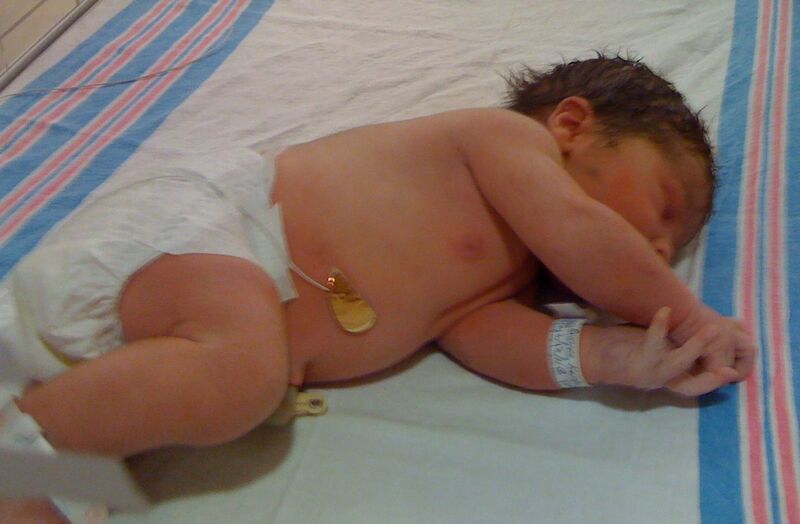 So far, he has done very little screaming, and I anticipate a placid great-grandson. If he does have an unruffled disposition, he’ll be an anomaly because most of us in this family constellation are “pretty intense,” as one of my close friends says. Birth is blessing. Birth is gift. Alexander, with his perfectly round head of thick black hair and his sweet fat cheeks, is both blessing and gift. 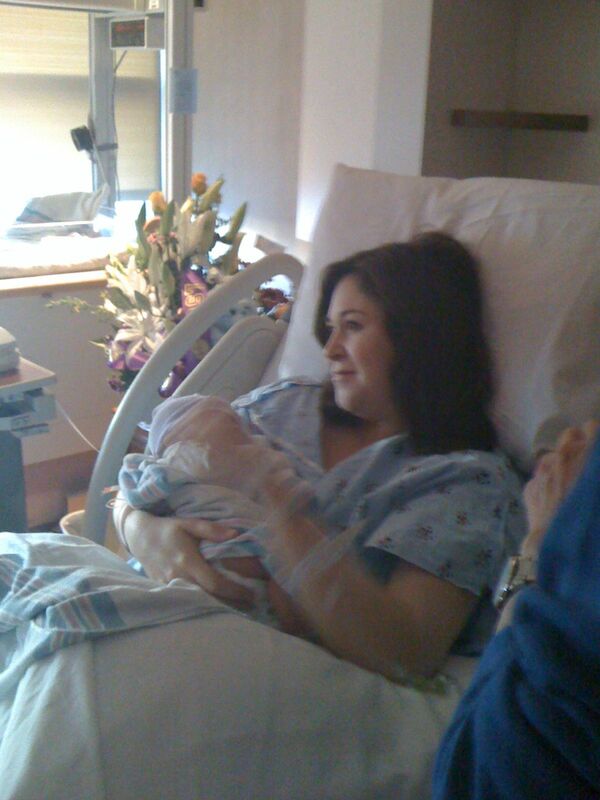 On the right is a photograph of Kristin, the beautiful mother, cuddling Alexander. His parents, grandparents, friends, and great-grandparents surrounded and photographed him at every conceivable angle just after his birth and introduced him to birth love, something he cannot reciprocate right now, but will soon learn to express within the circle of protection and caring he has begun to experience. Alexander's first day is shown on Facebook in many photos. Without a doubt, you’ll recognize the ascendancy of French, Spanish, Italian, and Indian ancestries when you view his beautiful coloring and raven-colored hair. As I told both parents, “you helped make a beautiful baby.” Of course, the parent of all Creation gave him perfection, but that multi-mix of bloodlines contributed a lot to his handsome appearance. That’s a tall order for new parents but one that bears thinking about, whether you’re parent, grandparent, or great-grandparent. Alexander is a gift wrapped in a profound time --and a joyful time -- when all of us feel not only sappily sentimental but enchanted with the goodness of new life and are thankful. My grandson, Martin, doesn’t like for me to even say the words, “the only great-grandparent left,” because he thinks I may not be around long enough to carry out this role of great-grandmere, but I hope to sojourn here for an extensive spell just to see this little creature soar. “Thanks be to God for His indescribable gift!” (2 Corinthians 9:15). 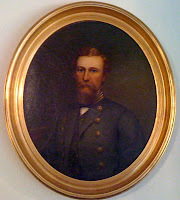 In the advent of the sesquicentennial of the American Civil War, I sit, surrounded by reference books, maps, and a sketchy diary belonging to my Great-Grandfather Greenlaw, writing a novel about his early life in the Rappahannock country of Virginia and his role as a Captain in the 2nd Tennessee Regiment of the Confederate Army. What I write is a work of fiction, based on scant facts supplied by my Great-Grandmother’s handwritten copy of his diary and a few records from Virginia Military Institute where he attended school almost three years. The research is formidable as the Civil War is one of the most written about wars in military history and an epic war comparable to the Greek battles. Great-Grandfather Greenlaw spent part of his service life in a Union prison after he was captured at the Battle of Murfreesboro, Tennessee, or Stones River Battle, as it is more commonly called. What I read about the conditions at Fort Delaware Prison, to which he was sent following his capture at Stones River, is so horrendous that I almost want to skip over that part of his story. Great-Grandfather came out of a war in which he was wounded four times, imprisoned once, and endured battles from the beginning of the Civil War in April 1861 until its conclusion in the Spring of 1865. It was a war with a high number of casualties, and at Fort Delaware alone, 2700 Confederate prisoners died; 2400 of whom were interred at Finn’s Point National Cemetery near the former prison. Their graves can’t be individually identified, and I’m sure some of them were my Great-Grandfather’s compatriots. I’m amazed that he survived the experience. Meanwhile, I no longer wonder why the family called Great-Grandfather Lawrence Dade “a melancholy Scot,” and I hope that as the story unfolds, via my conversations with him, he’ll eventually tell me about some peaceful aspect of his earthly life. On New Year’s Eve, 2002, a cold wintry night in New Iberia, Louisiana, I delivered a homily and performed the wedding ceremony for Marjorie Brown, the daughter of Martha Brown, a church member of the Episcopal Church of the Epiphany. Marjorie was married to David Pierson in a beautiful ceremony, blessed by The Rt. Rev. Willis Henton (now deceased). The bride and groom, a handsome, well-educated couple, had been active in several projects in the eastern U.S. – Marjorie, who has a Master’s degree in Management from Northwestern University, had been working as a marketing consultant in New York City and as a board member for the Double Discovery Program at Columbia University, which helps students complete high school and provides impetus for them to enter college. 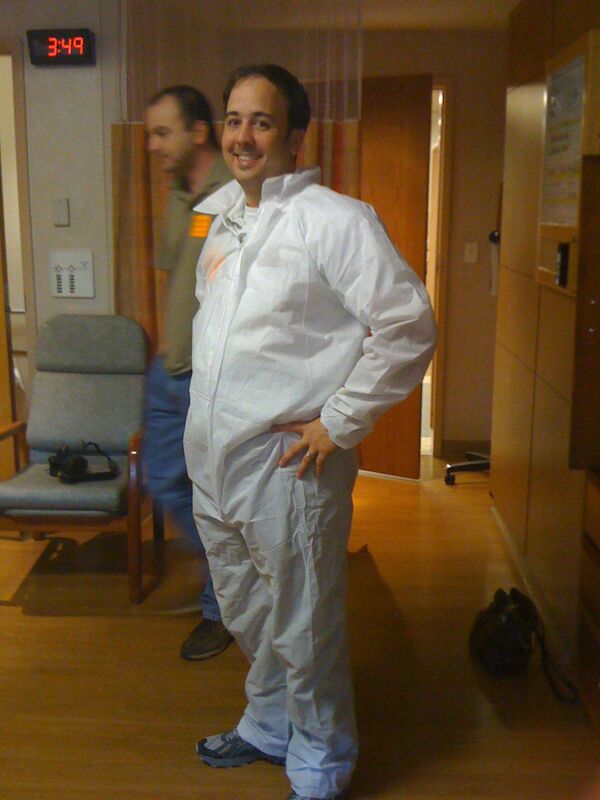 David, a graduate of West Point with an MBA from Duke University, was, at that time, the director of global oncology new product marketing at the Pharmacia Corporation in Peapeck, New Jersey. When Hurricanes Katrina and Rita struck Louisiana, I was serving as director of Solomon House, an outreach center sponsored by the Episcopal Church of the Epiphany, and we set up a clothing distribution center in New Iberia for evacuees of New Orleans and environs, Vermilion, Calcasieu, and other parishes. Almost immediately after this crisis occurred, Marjorie called me from New York City and wanted to know what she could do to help, and I asked her to just pass on the word that money and clothing were needed. Marjorie, who had numerous media contacts in New York City, contacted a friend who emceed a radio show, and she put out an appeal. As a result of that appeal, Solomon House probably received as many donations from New York City as it did from any other location in the U.S. The work done by Marjorie to solicit goods and money was outstanding. Several weeks ago, I visited Marjorie’s mother in her new home in New Iberia, and when I left, Martha handed me a copy of Marjorie’s latest contribution to Louisiana, a photo essay that appeared in Louisiana Cultural Vistas, a quarterly magazine published by the Louisiana Endowment for the Arts. I was blown away by this photographic documentation of Louisiana wetlands that appeared in Marjorie’s "Acadian Wetland Series." Marjorie began the work on this project after Katrina and Rita struck Louisiana, and the photos in this essay are intended to inspire public awareness of the erosion of valuable wetlands in south Louisiana. They represent a call to preserve those protective coastal wetlands. Marjorie’s photographs are breathtaking, and her vision of the landscape reminds me of the paintings of Walter Anderson who had a unique way of looking at landscape and wildlife. Marjorie's photos include Bayou Teche, the marshes, the Atchafalaya Basin, and Lake Martin, to name a few. Through various photography techniques she captures scenes that resemble the work of the Impressionists in color and composition. Her work recently appeared in an exhibit entitled “Fragile Beauty” at Martine Chaisson Gallery in New Orleans, and she has placed her fine art photographs in private, corporate, and institutional collections throughout the U.S. including Paul Schexnayder’s A and E Art Gallery in New Iberia. Marjorie and David live in Durham, North Carolina and have one daughter, Isabelle. Look at Marjorie Brown Pierson’s website at http://www.marjoriepierson.com/index2.php?v=v1 to view her work online – or buy a copy of the Winter 2010-2011 issue of Louisiana Cultural Vistas. The cover photograph of duckweed, an enhanced archival pigment photo, features one of Marjorie’s wonderful pictures. CHANT OF DEATH IS ON KINDLE!! The latest news from Pinyon-Publishing, the press that published CHANT OF DEATH, is that Gary Entsminger, publisher and editor, and his book designer/artist, Susan Elliott, have placed this mystery that I co-authored with Isabel Anders on Kindle. You can read the book on your personal Kindle reader which can also be downloaded on iPad, iPhone, PC’s, and Mac’s. 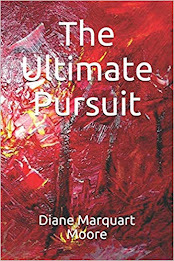 Of course, if you love collecting books, you can buy the book in hard copy from Pinyon-Publishing and amazon.com. Publisher Gary Entsminger and artist Susan Elliott are alert to the latest technologies in book publishing and have considerable expertise in computer-generated projects. They co-authored a book entitled MAKING THE MOST OF WRITEITNOW4 (a writing software program by Ravenshead Services in Scotland that has been cited by “Top Ten Reviews” as #1 among seven leading writing software programs). Gary has written nine programming books, as well as computer software, and Susan is a writer, painter, and ecologist with a Ph.D. in Botany. The partners stay abreast of the latest way to design and publish books for an informed reading public, and CHANT OF DEATH on Kindle is their first venture in electronic books – I’m pleased that they selected the mystery I co-authored with Isabel Anders for this project. 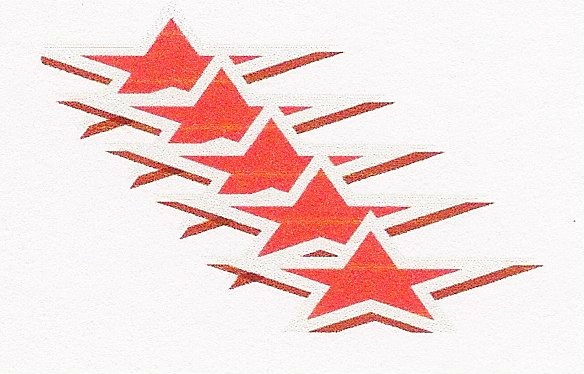 You can read reviews and interviews about books published by Pinyon online at Pinyon-Publishing.com. I’ll be inscribing hard copies of CHANT OF DEATH at Books Along the Teche in New Iberia on February 26, along with Carla Hostetter, author of WISH FOR A SINNER, a romance novel, and Victoria Sullivan, author of ADOPTION, a speculative fiction title also published by Pinyon-Publishing. 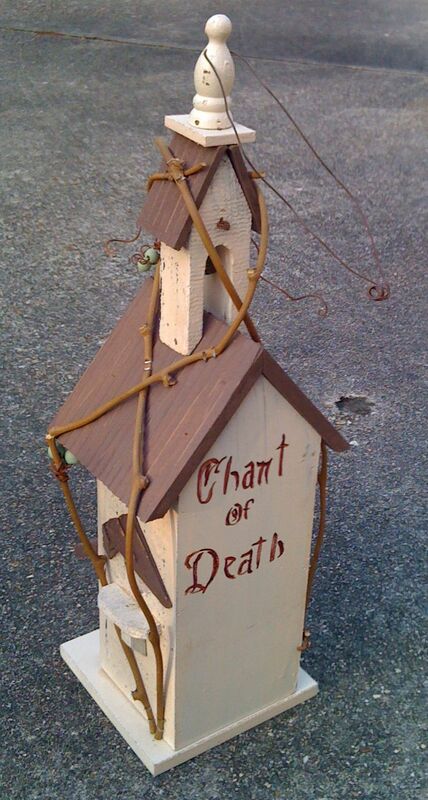 A birdhouse advertising CHANT OF DEATH was given to me by Betty LeBlanc, the hostess of a New Iberia Fortnightly Literary Club for whom I presented a review about CHANT last month. I’m taking it back to Sewanee and am sure the sparrows in the front yard will love it as a refuge. I hope some of the larger chanting birds won’t sneak into the sanctuary and do away with its residents. You’ll have to read CHANT OF DEATH, now on Kindle, to understand the allusion! Bountiful thanks to Gary and Susan for making CHANT OF DEATH available on Kindle. And happy reading to all you electronic book fans. 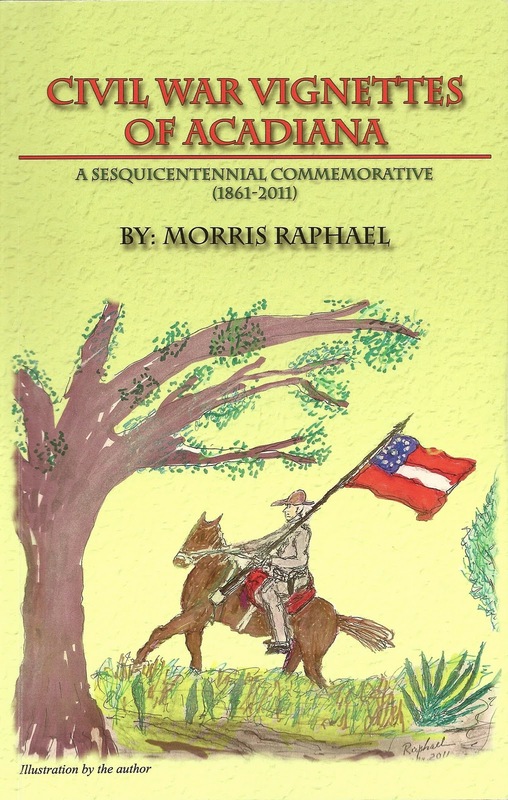 I’ve written many times about the works of Morris Raphael, a New Iberia writer who has been my friend for over thirty years, and I’m happy that his latest book, CIVIL WAR VIGNETTES OF ACADIANA, A SESQUICENTENNIAL COMMEMORATIVE, has been published in time for the Sesquicentennial celebration of the Civil War in April of this year. Morris has made valuable contributions to the history and culture of Acadiana through 13 books he has published and memorable accounts about people and events in his Sunday column in the Daily Iberian. A resident of New Iberia for sixty years, he has written about bayou country so masterfully that he was acknowledged by Sunday Advocate columnist Damon Veach in 2006 as being “in the same class as Lyle Saxon , Harnett T. Kane , and Robert Tallant ,” an accolade that showcases Morris’s ability to transform historical ideas into highly readable stories. CIVIL WAR VIGNETTES OF ACADIANA contains 45 human interest vignettes about the War Between the States occurring in bayou country Louisiana. Morris derived the stories from Official Records of the U.S. Government, regimental histories, diaries, authors’ works, letters of soldiers, and personal reminiscences. It is the first book of vignettes about the Civil War in Acadiana to be published, a volume that points out places in Teche country where “Yankees and Rebels roamed the countryside and fought it out in bloody encounters,” according to Morris. It includes several maps that Morris rendered himself, showing approximate location of battlefields, forts, and camp sites along Bayou Teche. In addition to being a writer, Morris has enjoyed drawing for many years and illustrated many of his stories, book covers, and postcards that commemorate various battles in bayou country. The illustrations in CIVIL WAR VIGNETTES OF ACADIANA embellish the cover and numerous chapters of the book, the originals of which were rendered in color and are collectibles in themselves. Morris, a native of Natchez, Mississippi who has lived in the Teche country for six decades, is a retired project engineer with a background in journalism. He was city editor for the Franklin-Banner-Tribune and has contributed feature articles to the Daily Iberian and Acadiana Lifestyle, as well as other notable journals. In 1979 he received the Jefferson Davis Award from the United Daughters of the Confederacy, and in 1985 he was inducted into the Iberia Parish Second Wind Hall of Fame. 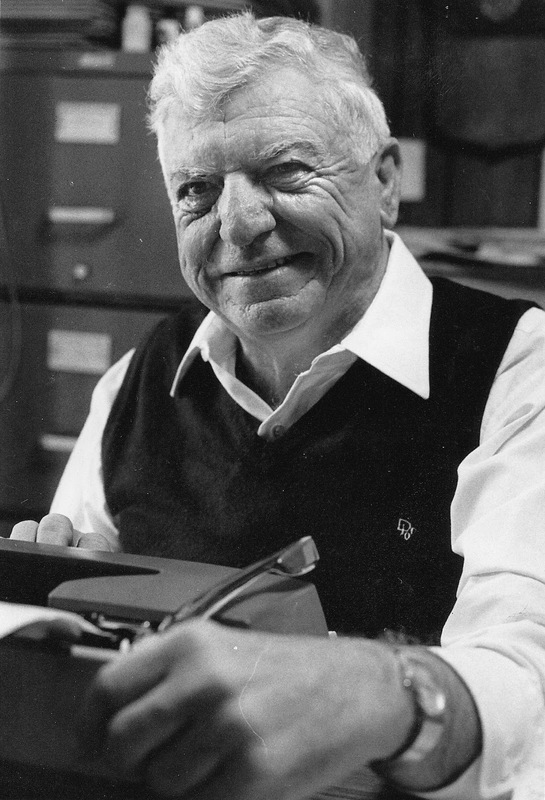 In 1991 he received the annual Cajun Culture Award for his work in advancing Cajun culture. He has been president of the Attakapas Historical Association, the Iberia Cultural Resources Association, and has served on the Council of the Shadow-on-the-Teche and the board of the St. Mary Chapter Louisiana Landmarks. He also belongs to the Louisiana Historical Association and the National Trust for Historic Preservation. Morris relates numerous incidents that chronicle the losses and triumphs of both Yankees and Rebels fighting in bayou country and has included tales about drunkenness among the ranks, the destruction of fine antebellum homes, and several priests’ involvement in the Civil War. This is an excellent commemorative book which all Civil War buffs, as well as collectors of Louisiana books, should include in their libraries. Morris says that his personal archives contain many Civil War stories that he has collected for decades, and CIVIL WAR VIGNETTES OF ACADIANA is only a small portion of the yield! Morris is an inspiration to all writers in Acadiana – at 93, he is still writing and drawing apace. Because I encouraged him to write this book, he honored me by dedicating CIVIL WAR VIGNETTES OF ACADIANA to me, which I acknowledge with much gratitude and appreciation. Order CIVIL WAR VIGNETTES OF ACADIANA from Morris Raphael, 1404 Bayou Side Drive, New Iberia, Louisiana 70563 for $19.95. Postage and handling free.